Wyndham Destinations, the world’s largest vacation ownership and exchange company, has been named on Forbes magazine’s Best Employers for Diversity list. 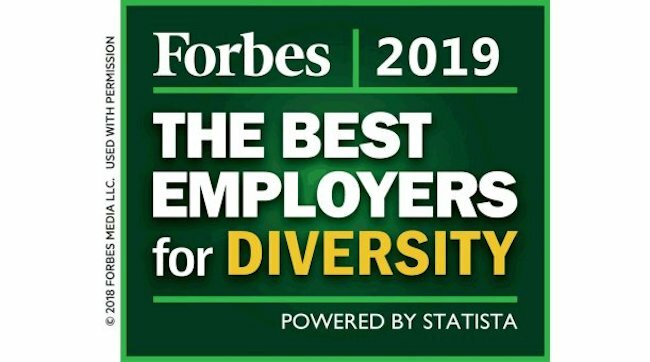 Forbes, in partnership with Statista, has released its second annual list of America’s Best Employers for Diversity. The list is a ranking of 500 employers across all industries in the United States, based on surveying thousands of employees and examining employer diversity policies, as well as diversity in executive suites and on boards. Kimberly Marshall, Wyndham Destinations chief human resources officer, said: “As the world’s largest vacation ownership and exchange company, Wyndham Destinations serves four million members and owner families every year by providing great vacations to customers around the world. A recruitment programme to develop a diverse pipeline of talent that includes candidates from a variety of backgrounds, cultures and experiences, including women, people of color, veterans, those with disabilities, mature job seekers and more. A global supplier diversity programme to increase the company’s network of minority vendors and other diverse suppliers. Wyndham Destinations is committed to being an employer and neighbour of choice in the communities where it has a presence. The company’s commitment is recognised through prestigious awards such as Forbes’ Best Employers for New Grads, Newsweek’s 100 Greenest Companies, Human Rights Campaign Corporate Equality Index, and Ethisphere Institute’s World’s Most Ethical Companies, amongst others.